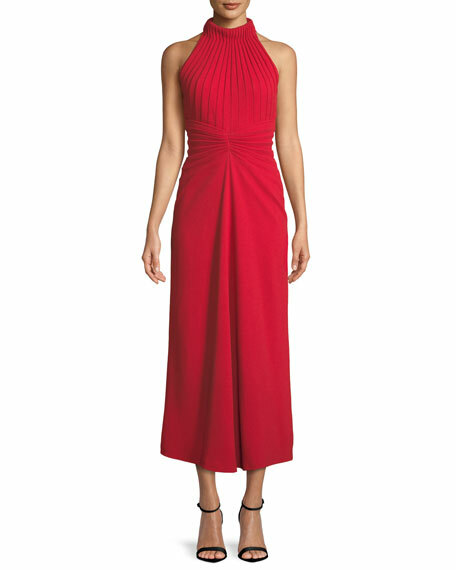 Ralph Lauren Collection silk midi dress. American designer Ralph Lauren debuted his brand in 1968 with ties and menswear, and over the years his vision expanded to encompass women's ready-to-wear, shoes, accessories, and children's clothes, just to name a few. Classic and timeless are the watch words of Ralph Lauren Collection. For in-store inquiries, use sku #2496241. 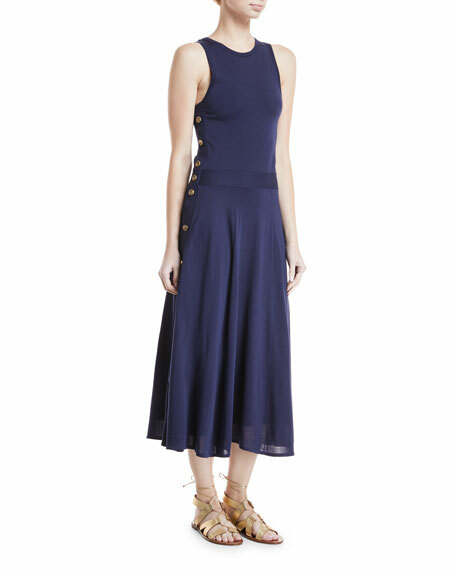 T by Alexander Wang midi dress in stretch crepe. V neckline with chain detail; low V'd back. Sleeveless; tapered straps. Shift silhouette. Arched hem. Pullover style. Rayon/spandex. Lining: polyester. Imported. 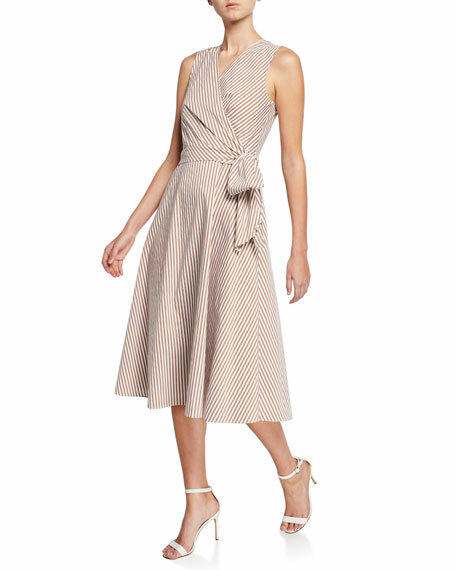 Brandon Maxwell dress in pebble crepe with mirror pleating. Mock neckline. Sleeveless; cut-in shoulders. Fitted waist. A-line silhouette. Hidden back zip. Center back hem slit. Midi length. Acetate/viscose/spandex. Made in USA of Italian materials. Milly "Abigale" satin dress with sequin trim. Sweetheart neckline; square back. Sleeveless; adjustable straps. Body-conscious silhouette. Fitted princess seams. Hidden back zip. Midi length. Dry clean. Acetate/polyester/spandex. Made in USA of Italian material.